Metal mirror coatings reflect light consistently and effectively. They are also cost-effective as they can be applied to polymers. Thin, deposited metal layers can be used as the front or back mirror surface for reflectors. 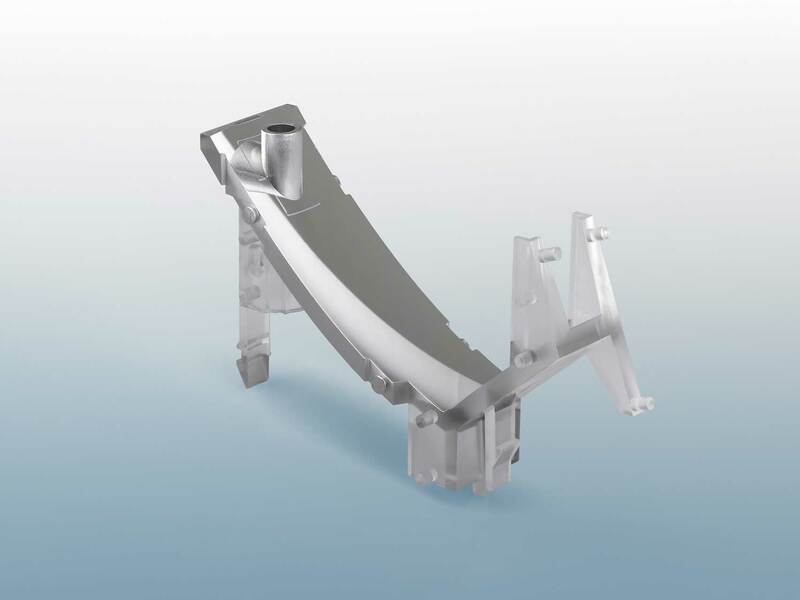 You can combine aluminum, silver or gold with other protective coatings to adapt them to your specific requirements. 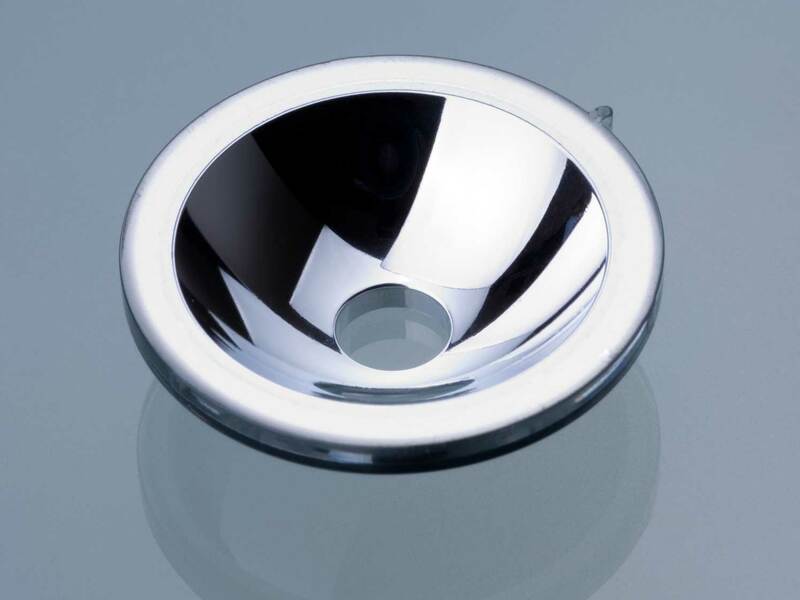 Aluminum is ideal for broadband reflectors in the VIS range and well into the IR range. The additional protective coatings mean you can use aluminum as a mirror coating even under challenging environmental conditions, such as in condensing humidity. On the other hand, you can increase the coating's reflectivity by combining it with a dielectric coating. 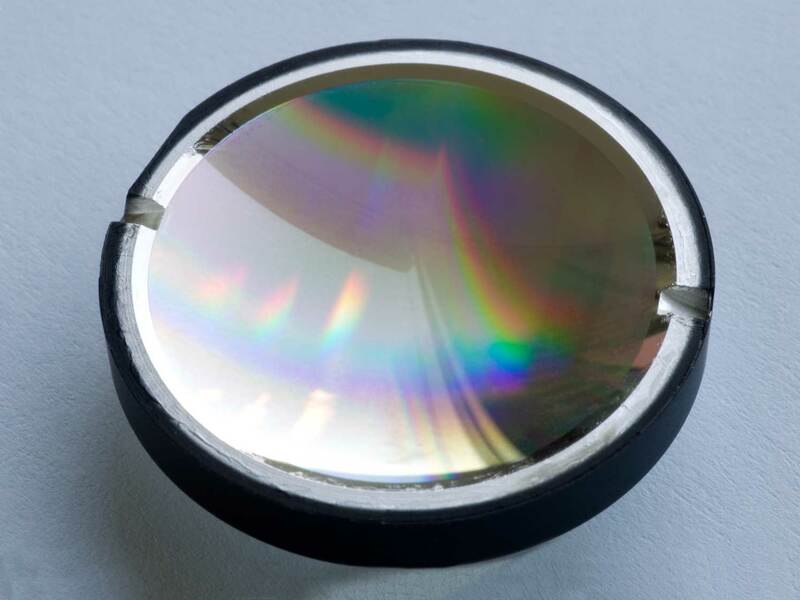 Silver mirrors offer excellent VIS reflection properties and are used in moderate environmental conditions. 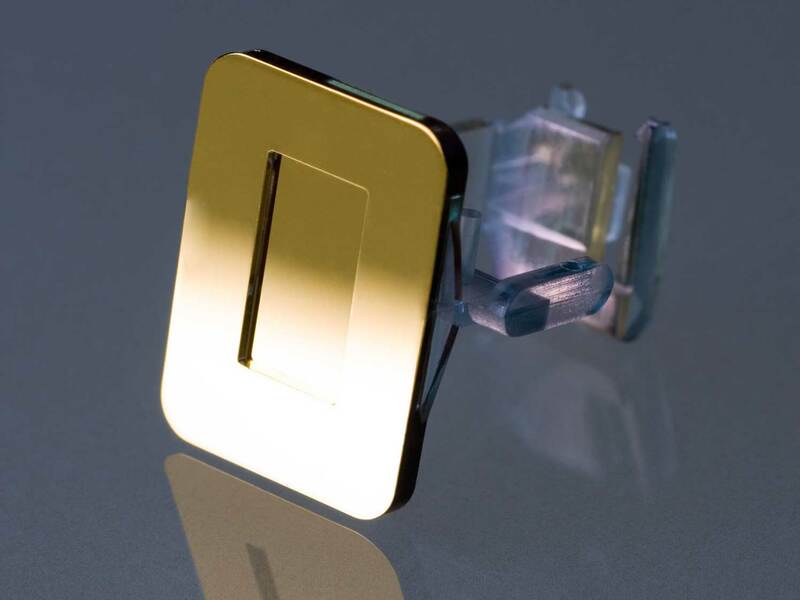 Gold mirrors have a proven track record in the infrared spectral range in particular. The reflection properties in this range are excellent and offer long-term stability. 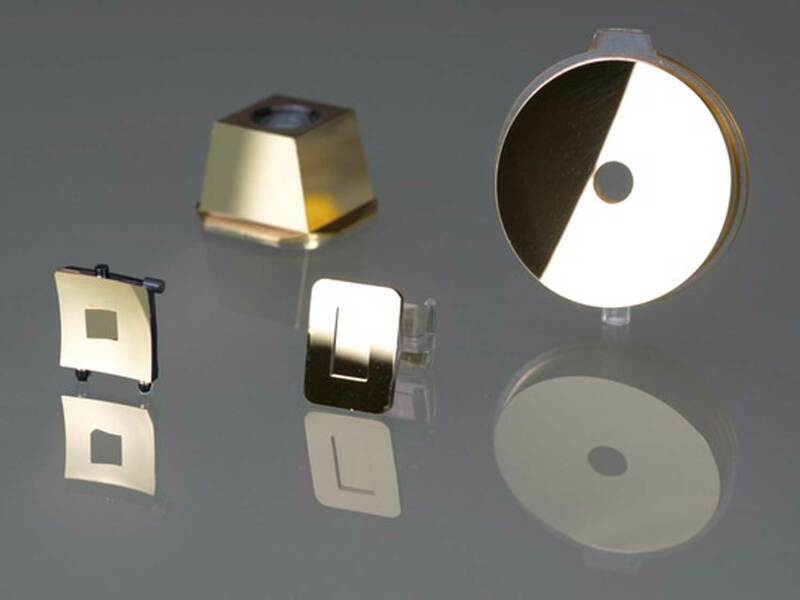 If metallic solutions are not suitable for your optical application, we can also offer dielectric mirrors on polymers for certain wavelength ranges. Therefore, we have developed procedures for a range of transparent and non-transparent polymers. 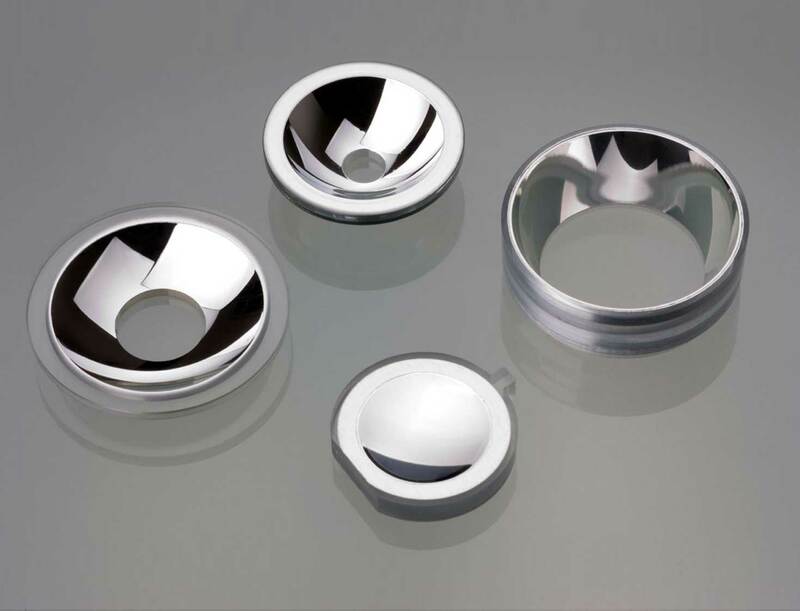 We can also apply mirror coatings to substrates with complex three-dimensional shapes.